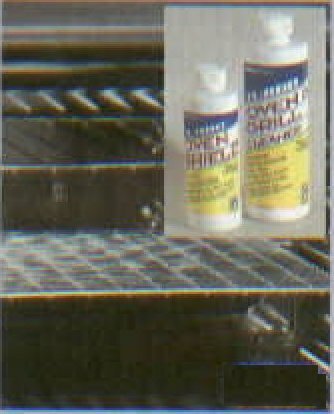 Here's an oven cleaner which works. Quickly. Just wipe on, leave about a minute and wipe off. And there's no need for gloves. It's even safe enough to bring back the gleam to pots and pans. Using an oven cleaner this effective is also surprisingly pleasant. There are no harmful fumes, just the aroma of fresh lemon. As you know, as soon as an oven is cleaned, somebody dirties it again. The maker has thought of that. Apply the non stick oven coating after the oven cleaner and you have a surface you can wipe clean. A brilliant idea that protects surfaces and keeps them clean longer. And before you ask. yes, it works fine on self cleaning ovens. You can also use the oven cleaner`s non stick coating on pots, pans, fridges and microwaves. Wash Balls Set Of 2. Oven Cleaner text, images and video are copyright.